As a kid, I loved Arthur, so I was really excited to receive the newest Arthur DVD for my kids. Arthur is such a well written and composed cartoon. I love that Arthur is such a kind young character who is learning all about being a respectful and responsible person in the world. Alongside Arthur are several other characters, including his family, friends and community members. 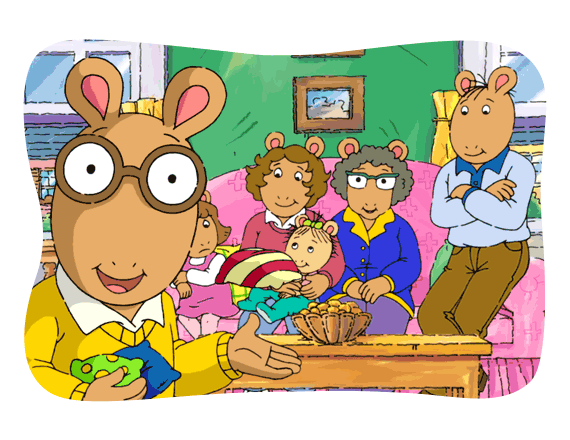 Each one has a unique personality and story to them which makes Arthur very fun and easy to watch. Personally, this is one DVD I don't mind playing daily and watching alongside my kids. The kids really enjoy Arthur and definitely have this one at the top of their favorites list. I highly recommend buying this for your little ones as it is not only entertaining, but also teachers good lessons in manners and responsibility. Learn more by visiting the PBS Kids website! Based on the children’s books by Marc Brown, ARTHUR chronicles the adventures of eight-year-old Arthur through engaging, emotional stories that explore issues faced by real kids. Aimed at viewers four to eight, ARTHUR tells stories from a kid’s point of view, while fostering an interest in reading and writing, and modeling positive social skills. ARTHUR airs weekdays on PBS KIDS (check local listings).